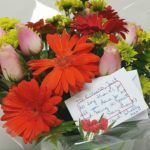 We have been helping people find homes they love on our island for more than 30 years. Now we look forward to helping you find yours. 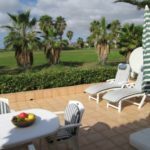 Tenerife Property Shop is a family business which is represented by two generations with more than 30 years experience , supported by our loyal staff who make up a formidable team with a vast amount of knowledge in all areas of purchasing a property . 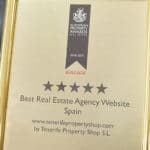 Not only will you find the best selection of properties in Tenerife , we hope you will also read and find useful the many articles our Team post on our site as well as enjoy visiting any one of our offices where we are waiting to help you find the property that is perfect for you. We advertise your property on international portals like Rightmove, social media, newsletters, newspapers, magazines, our website and the websites of all our partner agents around the world. With new enquiries coming in every day and a huge database of interested buyers, your property is sure to sell faster. 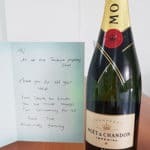 services than any other estate agents. 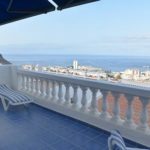 when purchasing a property in Tenerife. 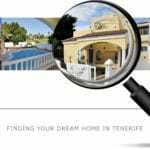 Tenerife Property Shop is a family business and we have helped thousands of people find their dream home over the years. We study the property market and have a deep understanding of the areas in which we work. We are happy to share our years of knowledge and experience with you to make the purchase and ownership of your Tenerife home a pleasure. Thanks for all your help, we really could not have done it without you! 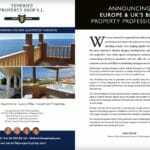 You won’t find these properties on any other website, they are exclusively available through Tenerife Property Shop. Click the button to see all our Exclusive Properties. Take your pick from some of the latest properties that we have taken on, or see them all and be first in line for the freshest instructions by clicking below. 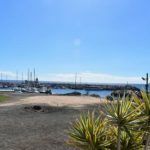 You need to have a look at our most popular shortlist, our hand picked selection of what we believe are the best value for money properties in Tenerife right now. There’s a home to appeal to anyone’s taste on this list and they are all sure to be kind on your pocket! How about living beside the golf course, with incredible views over the fairways and the peace and tranquility that goes with it? Click the button to see our shortlist of Tenerife golf properties, pack your clubs and let’s organise some viewings! Take a peep inside some of these luxurious homes and picture yourself enjoying the best that life has to offer. If you are looking for a property that’s a cut above the rest, then press the button and explore some of these beautiful homes. 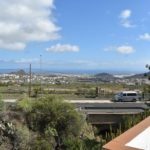 Moving into a newly built property, with everything in perfect condition and ready for you to make it your home is a unique and wonderful experience… take a look through our selection of new homes in Tenerife by clicking on the button. 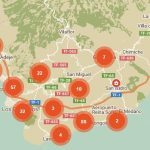 Go to the Tenerife property map to select properties by area and refine the properties you see by price, bedrooms and dozens more options, just click the map above.